The Wee Child is truly a book worm. In fact, he has been devouring books this year like crazy. Any parent would love that he is asking for more books instead of toys or video games. It is so much fun seeing his mind growing and his views expanding. As a result of his reading habits, I have come up with a great list of what I believe are the top books for tweens to read. 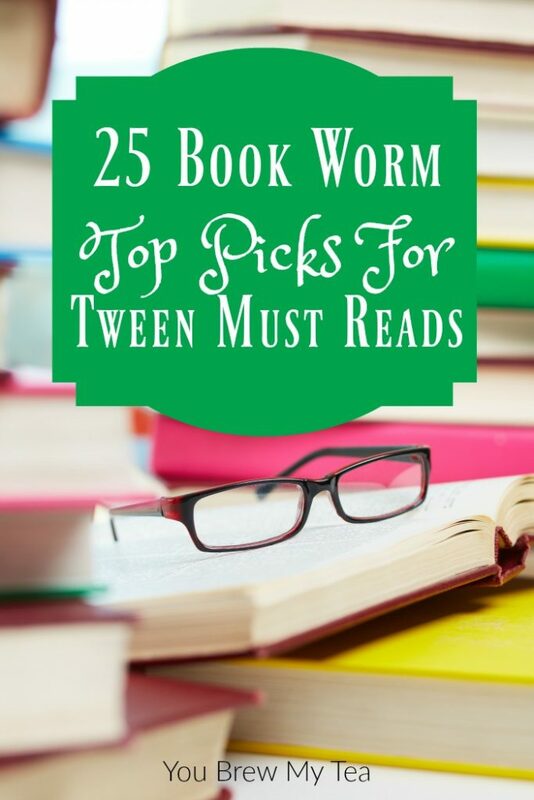 If you have a book worm, or are longing to create a book worm in your child, this list is a great place to begin. Some of these books are well known, while others seem to be a bit less popular but just as great. In fact, a few of these authors are my friends and I am so happy to share their books here because not only do I love supporting my fellow authors, but I also know that these books are truly amazing. Stuart Gibbs: This author is known for his middle grade books. While many are familiar with his animal-themed series, the Wee Child especially loves his space and spy series listed below. In fact, we preorder almost every book he puts out. J. Scott Savage: I actually reviewed the Farworld series a few years ago, and introduced them to my son recently. He fell in love with them and recently began the Cove of Mysteries series of books. They are full of fantasy and science fiction themes that appeal to any reader who likes things that involve dragons, adventure, and imaginary worlds. Katie Femia: If you like dystopian novels, this is the book for you. Her second book is in the process of editing, so I can’t wait to see what she has in store for us next! Peter Lerangis: The Seven Wonders books have kept my son tucked into a book throughout our recent road trip. I loved that there are not just the books, but fun addendums to them that make the adventures go on for longer. Brandon Mull: Fablehaven is perhaps the most well known, but this author most definitely has the key to encouraging kids to read. From younger grade to teens, these stories are full of fantasy and drama that keeps the pages turning. Jules Vern: Classic literature begins with the fantasy of Jules Vern. There is nothing better than watching your kids minds explode while reading the tales that take them through time and into a fantasy land. 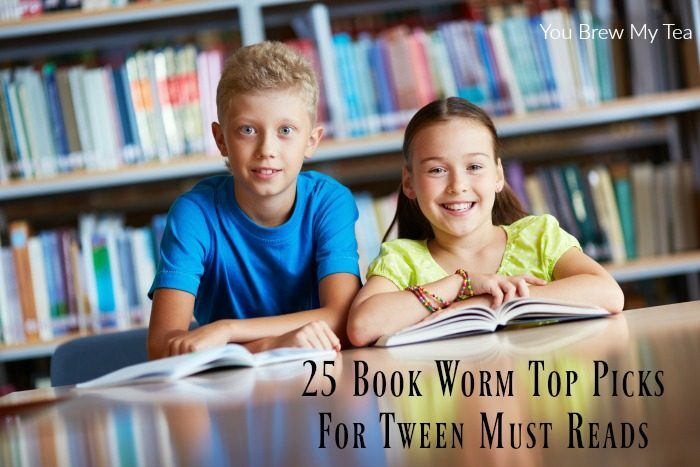 As you try to encourage your child to read more and become a book worm, this list is a great place to start. I love appealing to the Wee Child’s love of fantasy and science fiction. These books are a perfect way to do just that!